Jeanie Halliday has bought Yew Tree Cottage on impulse. A young artist, she bought the cottage because it was close to Agnes Drake, a former school teacher whom she admired. Jeanie thought that she & Agnes were friends but since Agnes' marriage to Robert Molyneux, owner of Cleedons, an Elizabethan manor house & estate (including Jeanie's cottage), their friendship has changed. Agnes is aloof, brittle, standoffish & Jeanie is also discovering that the delights of home ownership are more elusive than she hoped. When Robert Molyneux is shot dead in his orchard, the crime seems inexplicable. Soon, however, Jeanie finds herself at the centre of a group of people with secrets & motives galore. Robert's sister, Myfanwy Peel, arrives just before the murder to speak to Robert about her daughter, Susan, who lives at Cleedons. Myfanwy is a self-centred woman who didn't want to be bothered with Susan but has suddenly decided to take her back. She arrives in a bit of a state, waving a pistol around in the driveway, accompanied by her man of the moment, Eustace Agatos. Robert has angered his neighbour, William Fone, a poet & antiquary, who is obsessed with archaeology, especially a Neolithic burial mound, known as Grim's Grave. Robert wants to dig up the mound & Fone is bitterly opposed. Fone is disabled & his assistant, Barchard, agrees with Fone that the mound should be undisturbed. Barchard also owes money to Robert Molyneux & was unable to repay the loan. Robert's former assistant, Peter Johnson, was dismissed for stealing money from the safe. He was dismissed without a reference & is discovered in the vicinity of Cleedons when Robert is murdered. He claims to have come back to ask for a reference but he was also infatuated with Agnes. Susan's governess, Tamsin Wills, was also obsessed with Agnes, who inspires hero worship but quickly becomes irritated by devotion. If Myfanwy takes Susan away, Tamsin will be out of a job. Then there's Marjorie Dasent, a local woman who was in love with Robert & was seen by Tamsin in the stables with Robert as he tried to dismiss her. When Superintendent Finister arrives to investigate, Agnes is unable to account for her time & takes refuge in hysterics. Several people were in a position to take a shot at Robert & there is at least one gun missing from the Cleedons tower gun room. Several of the suspects were seen in the tower or in the grounds at the crucial time & none of them have a satisfactory alibi. Then, there's the mystery of the white kitten that was shot some days before & the discovery of a half string of pearls in the cupboard of Jeanie's cottage. Did they belong to the previous tenant, Valentine Frazer, who had been living there with Fone's assistant, Barchard, before she went off to London to work as an artist's model? Are they connected to the murder or are they part of one of the many secrets hidden by all the suspects in the murder? Jeanie finds herself investigating the murder & in considerable danger before the murderer is discovered. 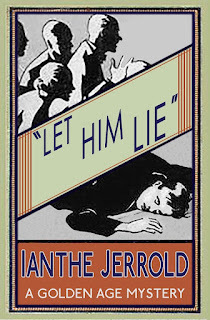 Let Him Lie is one of two mysteries written by Ianthe Jerrold under the pseudonym Geraldine Bridgman. 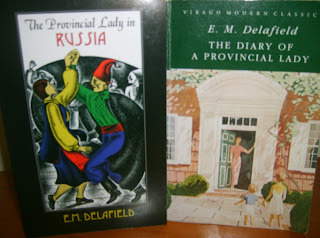 It was written some years after her two novels featuring John Christmas, Dead Man's Quarry & The Studio Crime. I enjoyed it very much. Jeanie is an engaging sleuth & the suspects have some real depth to them. The motives are various & quite tangled & the untangling takes some ingenuity. The final chapters are full of suspense & the feeling of dread was palpable. It was very effectively done. I was made very aware of how creepy a house could be with no electricity & only candles for lighting. 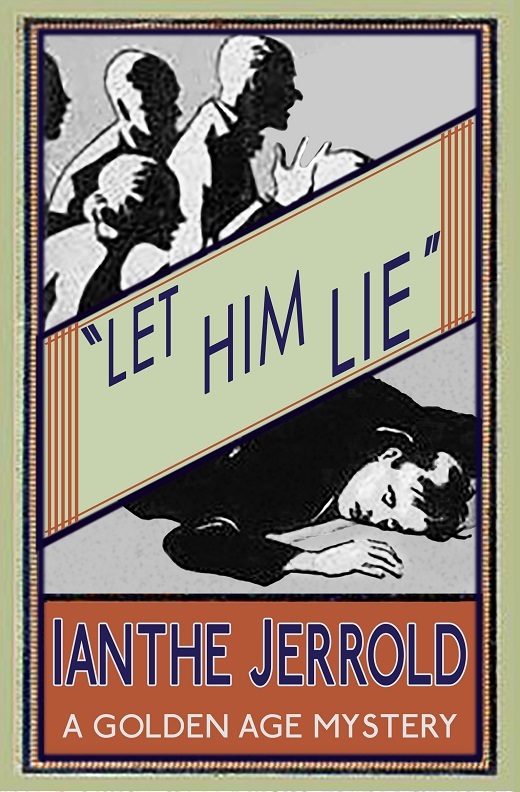 Dean Street Press kindly sent me a copy of Let Him Lie for review.